It’s no secret that we LOVE the Epcot International Food and Wine Festival — so much that we’re already hungry for details about the 2019 event! 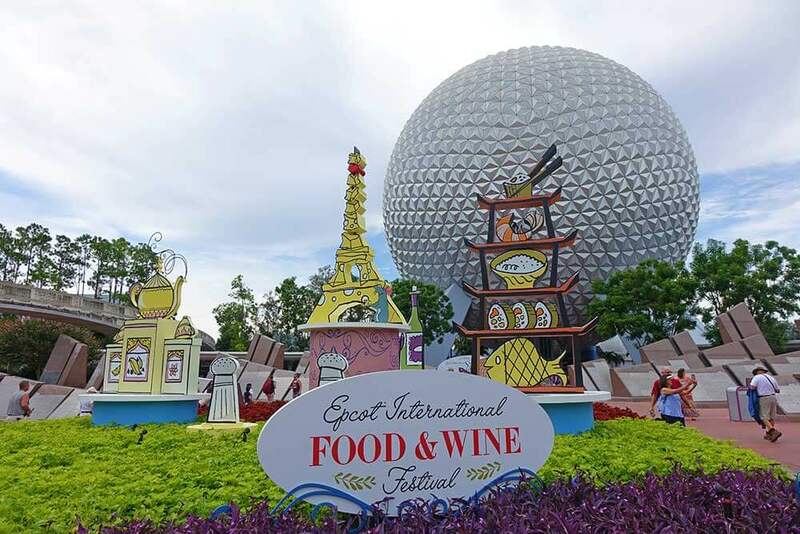 The Epcot International Food and Wine Festival has been been taking people’s taste buds all over the world since 1995, and we can’t wait for this year’s journey. Disney World just announced that Food and Wine Festival 2019 will take place for 87 days from August 29 to November 23. That’s the longest run in this festival’s history! (Did you notice the first day is the same as Star Wars: Galaxy Edge’s opening day?!) 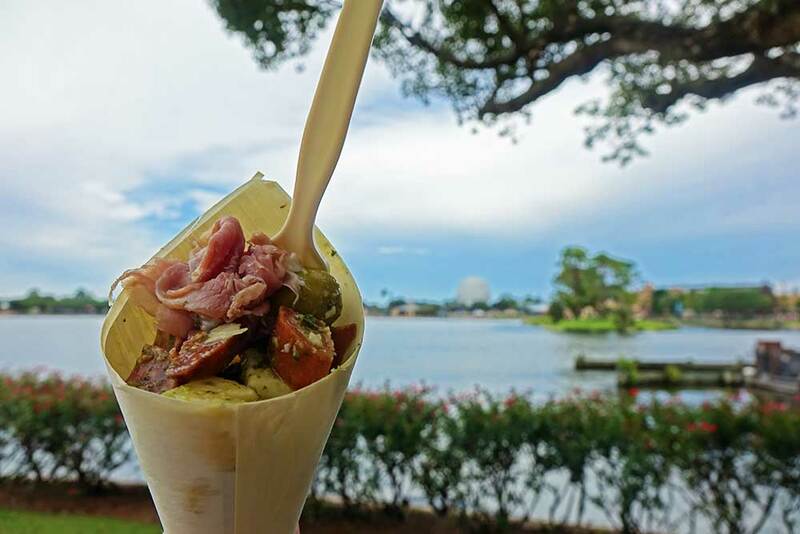 We’re already starting to imagine the tastes and smells around World Showcase. While we all wait for more details about food booths, celebrity chef appearances and special demonstrations, check out our festival guide, which is chock-full of information about the event. Its got everything you need to know and what to expect, so that you can get a head start on planning! And of course, you can always check back later, as we’ll be updating the guide as soon as we get our hands on more info. Let's hop to it! 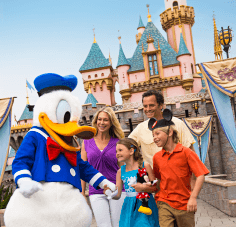 One of Epcot's most popular events, this daily festival will run a whopping 87 days from August 29 through November 23, 2019. The good news is you'll be able to experience the bulk of the festival with your regular Disney World tickets. However, you will need to foot the bill for your eats and drinks, which can add up if you have a hearty appetite like us frogs. For the most part, kiosk food prices usually run between $4 and $9, with beverages varying from $3 to $10. There is an additional charge for some of the talks, demonstrations and premium events. Reservations are strongly recommended for those experiences. 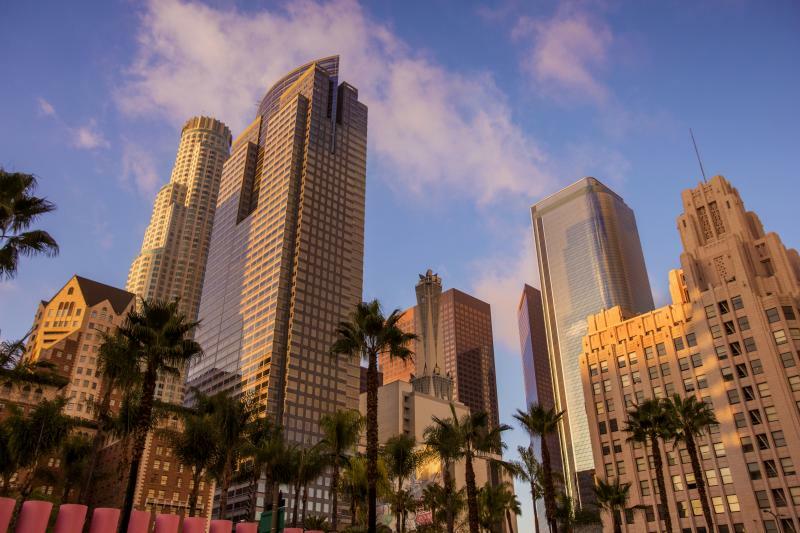 There are plenty of free things to do, though, including book and bottle signings, meet-and-greets and more. You'll find more about that at the Festival Welcome Center, which also offers plenty of foodie merchandise and delicious wines! Before you dive in, let us tempt your tastebuds with this video that showcases the sights and sounds of the 2018 festival. Please refrain from licking the screen. Once Disney releases the Epcot Food and Wine Festival 2019 menus, we’ll post them here! If you're curious what some of my faves were ... 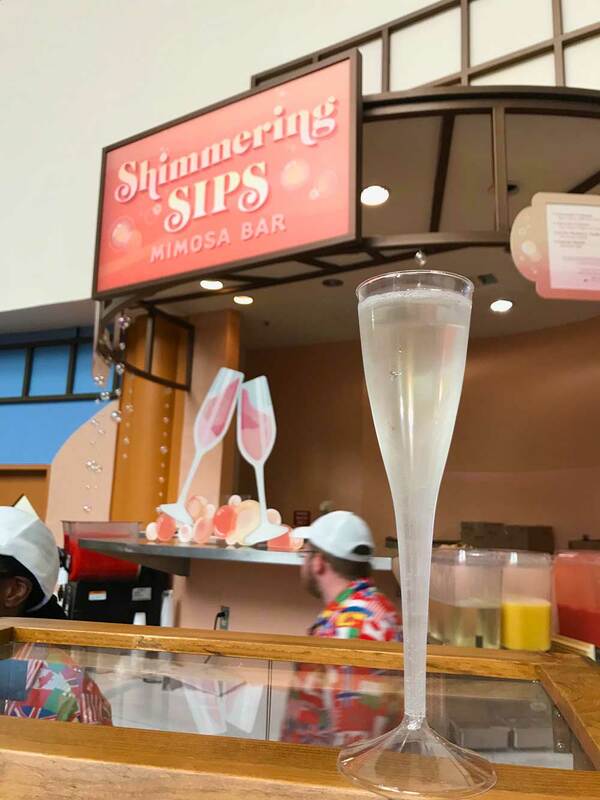 I LOVED the Key Lime Mimosa from Shimmering Sips. (The menu was everything I dreamed of and MORE. So many options!) Spain's Charcuterie Cone was seriously my dream snack, and don't get me started on the Guinness Baileys Shake in Ireland ... SO GOOD. An absolute TADPOLE HIGHLIGHT is the Light Lab in Future World. Indoors (in the AC, might I add) is an ultraviolet room filled with colorful science experiments! Little ones can learn how their taste buds work through interactive beverages. It was brand-new in 2017 and returned in 2018, so we hope to see it again this year. 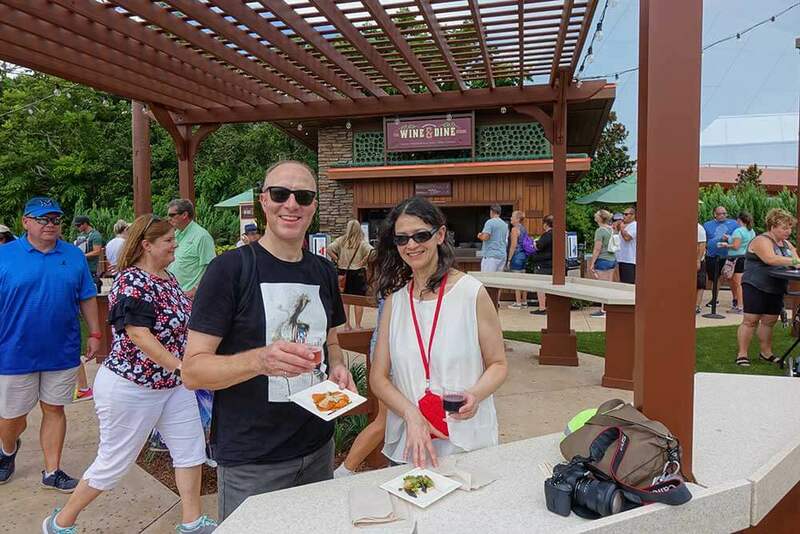 Epcot Food and Wine Festival 2019 Talks, Demonstrations & More! I don't know about you, but I could always use a little how-to from kitchen experts to help expand my skills. These interactive experiences allow you to get a hands-on lesson from kitchen experts. Your senses will be enlightened as you learn anything fromcocktail creations to sushi-rolling. We'll update this post with the official event calendar to get the deets on featured appearances and presentations so that you find out which seminar is right for you once it becomes available for 2019! Not ready to roll up your sleeves and cook, but still want to enjoy the yummy delights of a professional? Join a featured chef and beverage presenter to learn how to pair a match made in culinary heaven. This 45-minute demonstration allows you to sample the dish and beverage in the spotlight! You can check out the official event calendar when it's released for 2019 for more details, but we're always excited for those featuring chefs from Disney World restaurants and resorts! Breakfast buffet? Gourmet guest of honor? Say no more. Start off with a sparkling wine toast before indulging in a spread of delicious dishes as you listen to the celebrity guest offer their favorite tips and tricks. Enjoying all-you-can-eat food while learning how to better cook for future reference is just my style. The festival typically holds premium events that offer guests the chance to explore even more fabulous cuisine. Can you tell your Asiago from your Roquefort? Fromage lovers will enjoy the Wine and Cheese Pairing Seminars. The annual Party for the Senses, held on select dates in October, is a grand tasting event featuring bites from chefs of the Disney Parks. On every evening of the festival, a classic American band or artist takes the stage at the America Gardens Theater. This year, the concert series will end several days earlier than the festival, running from August 29-November 19, in order to prepare for the Candlelight Processional, part of Epcot International Festival of Holidays. An entire schedule has yet to be released, but the lineup will feature a large variety of pop, rock, R&B, country, Christian, swing and Latin artists. We've never felt the need to stake out spots too early for these concerts, and typically recommend getting there 20-30 minutes ahead of time and attending the earliest show. Listed below are the dates and the performers for the 2018 slate, with first-time Epcot Food and Wine Festival performers noted. Many performers return year after year. If you're a die-hard fan and can't miss your favorite band, check out the dining packages at some of our favorite Epcot restaurants for guaranteed seating. 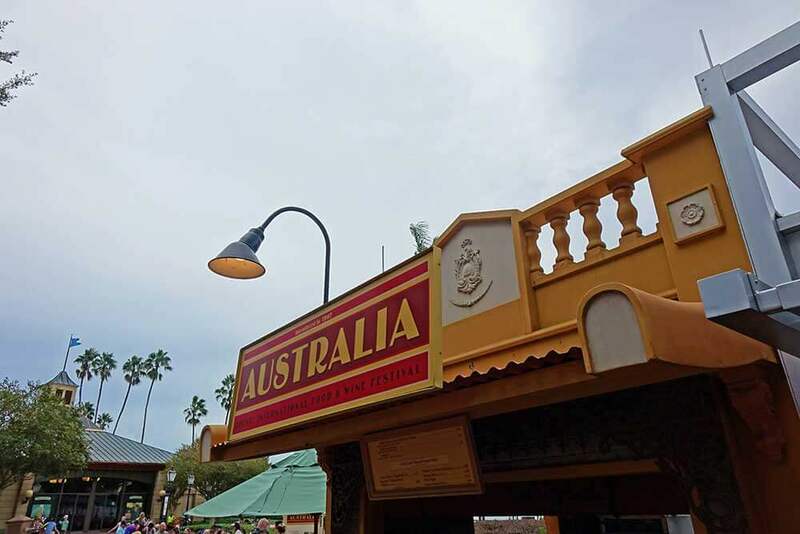 While we're usually huge fans of the convenient dining packages, this isn't our favorite option for Epcot Food and Wine Festival since we're too busy stuffing our faces with the quick bites at limited edition booths. Leap doesn't believe me, but I swear the festival merch gets cuter and cuter each year, and I just cannot resist. 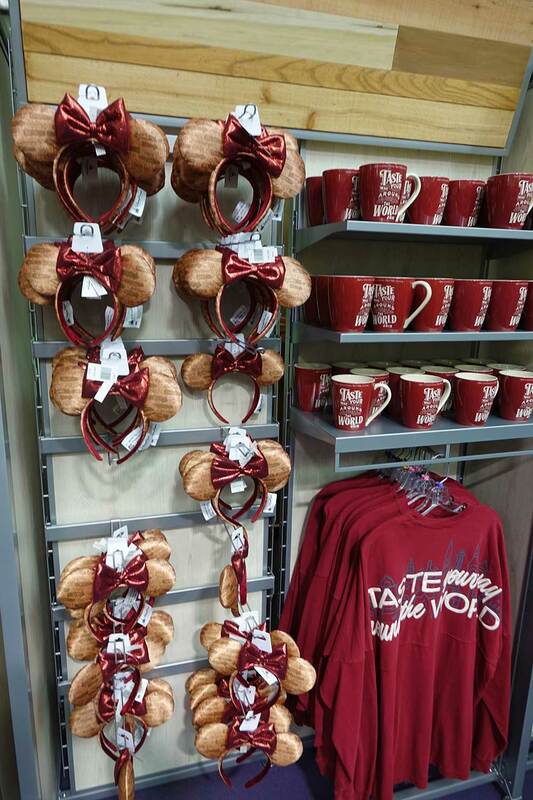 These wine cork ears from last year's festival are PERFECT, and Disney just keeps hitting home runs with cool spirit jerseys. Visit the Festival Center (to the left of Mission Space) for the widest selection in one place. You'll find ornaments, mugs, ears, apparel, kitchenware, art and so much more! 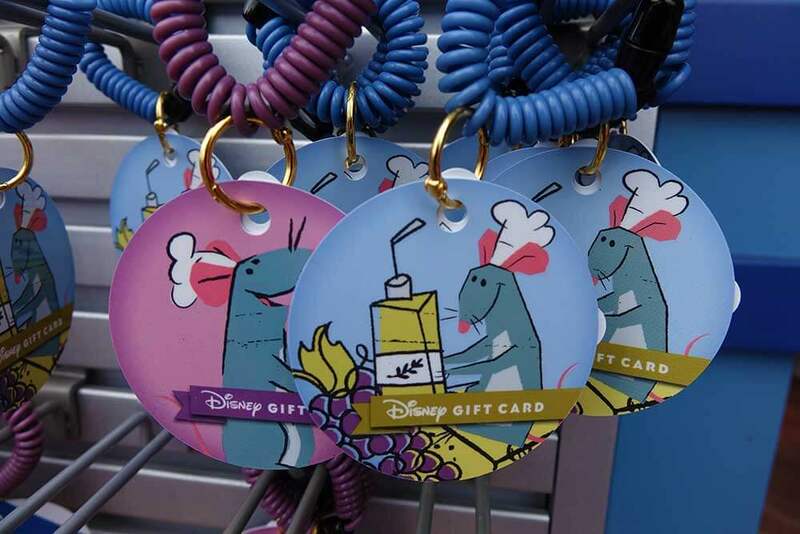 You can also find festival merchandise throughout smaller kiosk locations in FutureWorld and World Showcase, as well. With so many visitors to Epcot during the festival, especially in the evenings and weekends, it helps to have a few insider tips. Here are some of our favorites. If you take your food as seriously as I do, you'll want to identify a few must-try items in advance. It's a great way to whet your appetite, and it can help you budget. I make a list of the things I want to try and which global marketplaces I can find them. It's not meant to be exhaustive because I want to leave a little room for discovery, but it helps me plan which foods (OK, desserts) I don't want to miss. You can also do this when you get to the festival. Use your Food and Wine Passport to note the dishes you're most interested in sampling. Be sure to check out the Eat to the Beat concert series, calendar of demonstrations and chef appearances, as well. You never know who might be coming to town while you're visiting or what new skills you can learn at a cooking demo! As we mentioned earlier, setting a spending limit at the outset is the best way not to go overboard. 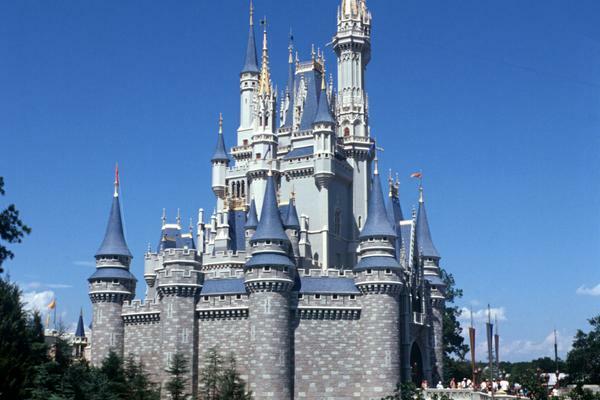 You can use cash, credit, debit, cards, MagicBands (if you're staying at a Disney World Resort Hotel) and quick-service meal and snack credits (if you're using the Disney dining plan). We prefer the miniature-sized festival gift cards because they are convenient with their wrist strap, and also make nice souvenirs. 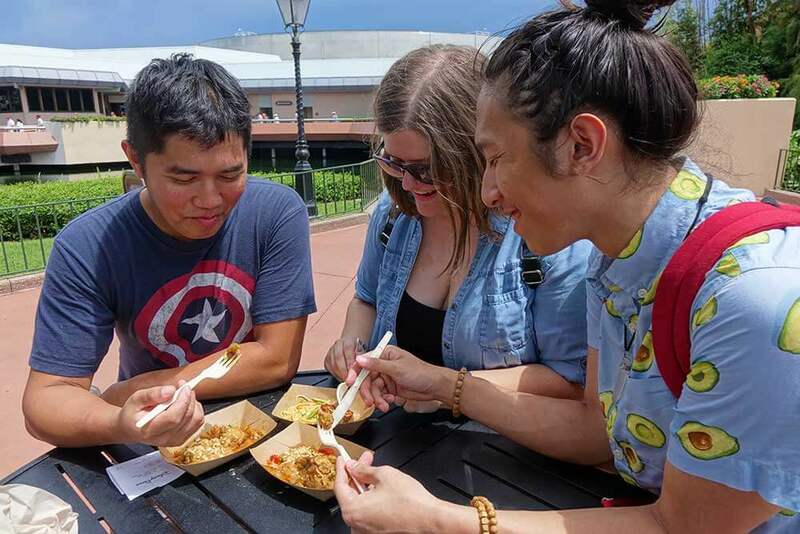 The concept of eating and drinking "around the world" has become so common that many people forget about the Epcot Food and Wine Festival offerings outside of World Showcase. Some of our favorite items last year appeared in Future World. Just beyond this area, a bit closer to World Showcase is where you'll find some of the more classic — and always amazing — booths such as the Chocolate and Cheese Studios, and Wine & Dine. If I were limited to only visiting three booths at the entire festival, these would be it! The wine and cheese flight at Wine & Dine is a delectable deal, and we all know I can't pass up chocolate creations. These areas also have prime dining stops, with plenty of tables for all of your snacks. And for the beer lover in your family, don't miss the Craft Beer pavilion right behind Test Track — a great place for yummy food and snacks, and to cool off! 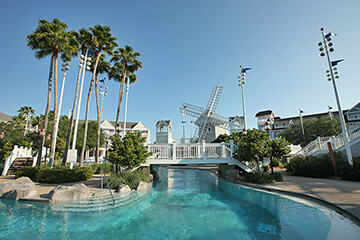 While a majority of the Food and Wine Festival technically takes place in fall, Florida weather tends to stay on the hot and humid side later into the year. If you're looking to cool off, we highly recommend taking a stroll through the Festival Center. Aside from being a great place to enjoy some AC, the Festival Center is also home to the many food and beverage seminars. There is also a wine-centric film showing on a loop that you can sit down and enjoy. Grab a bite at a couple of the food stations inside, including one dedicated to Ghirardelli chocolate. My mouth is watering just thinking about it! Not to mention, the Festival Center is a hub for all of the special edition merchandise available during the festival — Mickey-themed kitchen art, cookbooks, apparel and more. While you can find much of this merchandise in smaller booths around World Showcase, this is the best place to scout out all items in one spot. 5. 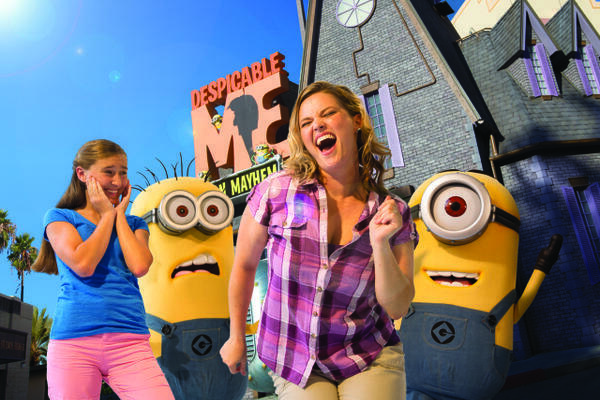 Annual Passholders — get your goods! There are usually quite a few Passholder-exclusive merchandise items available only in the Festival Center, such as pins, tumblers and shirts. Another way to sample a little bit of everything is to go to the festival with a group. Even if it's just you and your bestie, a good time is guaranteed. Whether it's friends, family or even some happy folks you met in the hotel lobby, everyone is bound to have different tastes. Each person gets the dishes he or she wants and then shares with the group! 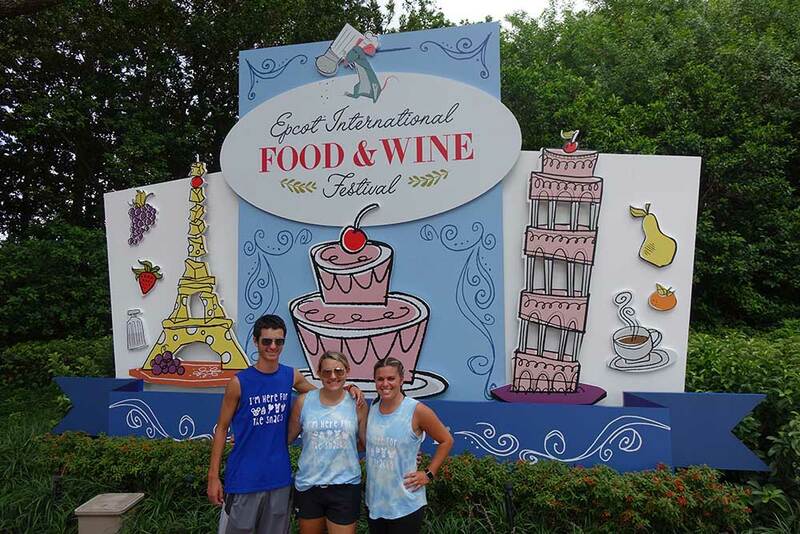 You don't want to dash and dine at the Epcot Food and Wine Festival. Don't underestimate the importance of having a place to enjoy all of the food you're about to consume. During crowded times (evenings and weekends) it can be tough to grab a place to set your food down to enjoy. Most of the dining areas are high-top tables with no chairs. However, there are hidden alleys and areas throughout Epcot to take a break and sip on that specialty drink. 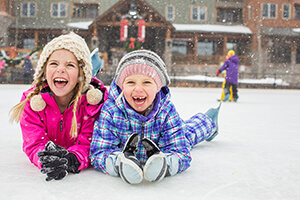 We recommend scouting out a place to sit BEFORE grabbing those handfuls of food. That way, you're not left scrambling for seating. Have one member of your frog pack hold down your spot (or even a standing table) while others grab food and drinks. Cute photo with a short wait? Count us in. Last year, on the way to World Gateway (the path to the Boardwalk between the United Kingdom and France), you could find an adorbs Epcot Food and Wine 2018 display perfect for a family pic. Don't worry ... you'll likely find a PhotoPass photog (or a nice frog) nearby the festival's prominent displays! It can be very tempting to dive into every dish (or drink) you see, but this is where your plan comes in to play. 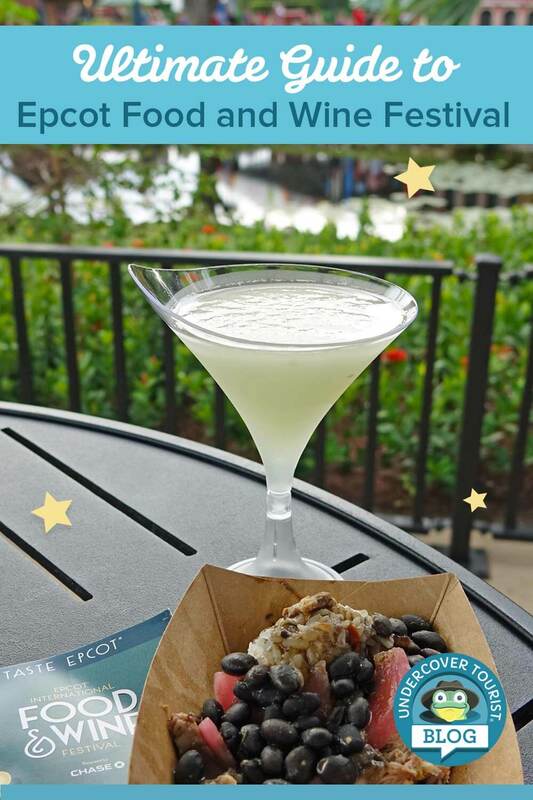 Use that handy passport to help pace yourself as you travel around World Showcase ... but remember it's also OK to try something that just looks too yummy to pass up. 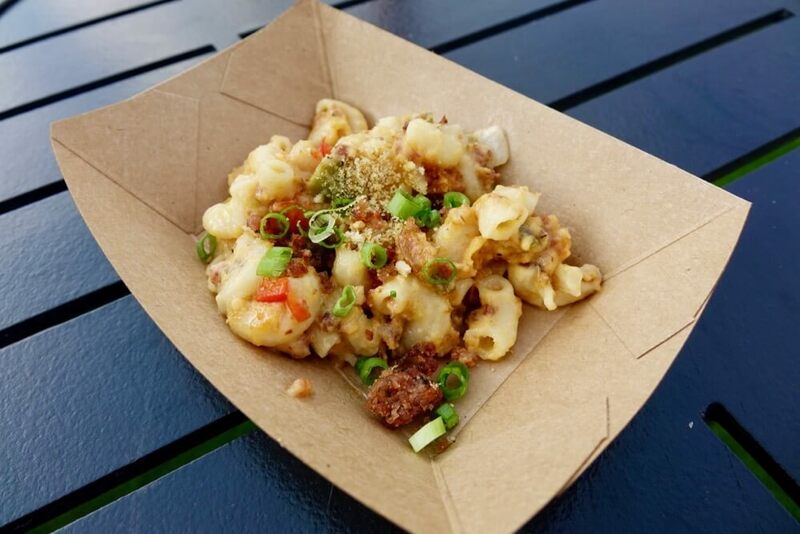 Epcot Food and Wine Festival isn't just for adults! One of the most fun things about the festival —especially for the tadpoles — is getting your festival passport stamped. Everyone can get a passport, but if you're doing the festival as a family, we think it's easiest if you only get one. Every time we visit a new marketplace booth, Lily and Tad take turns getting it stamped. 11. ... And let them eat! Floridians love the Epcot Food and Wine Festival, so crowds tend to swell during evenings and weekends. For shorter lines, visit during the week and plan on going for lunch rather than during dinner hours. If you're going on a weekend, head for the World Showcase during the day or later in the evening as guests start to claim spots to see fireworks. It's worth going late if you go during the weekend — Epcot usually remains open until 10 p.m. on those festival weekend evenings. Small plates inspired by cuisines from all around the globe could introduce you to your new favorite food! Don't be afraid to try that vegetable you've never heard of, the cheese with the funny name or interesting new drink. You might just like them! If not, I'll be hoppy to finish it for you. The savory dishes are certainly delicious, but my sweet tooth always has me coming back for dessert. Disney has some of the best in the world! From classic pairings like lemon and raspberry to unexpected combinations of strawberry and basil or innovative truffles chilled with liquid nitrogen, you're sure to have a sweet ending to your day at the Epcot International Food and Wine Festival! Tasting lanyards are no longer available for Food and Wine Festival, so while no special deals are offered, your next best bet for convenience is getting this wearable festival gift card. This avoids the fuss of pulling out your wallet at each marketplace, and it's a good way to budget each member of the squad. Put an allotted amount on each to pace your spending. Whether it's just you and your bestie or a whole army of frogs, you'll have more fun if you get in the wine and foodie spirit. Wear your team colors, custom trip T-shirts or matching wine glasses. It will be a blast! 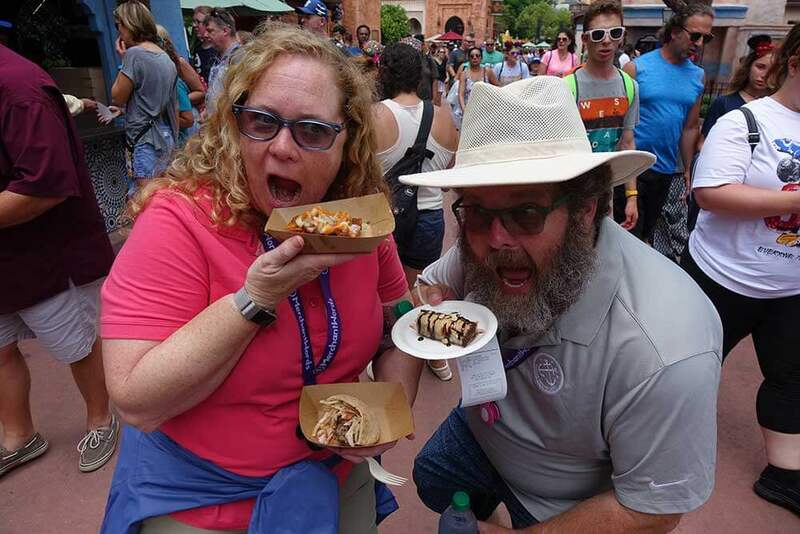 There is a lot to digest (so to speak) as you decide what to experience at Epcot Food and Wine Festival 2019! Do you have any questions about this year's event? Share in comments below! 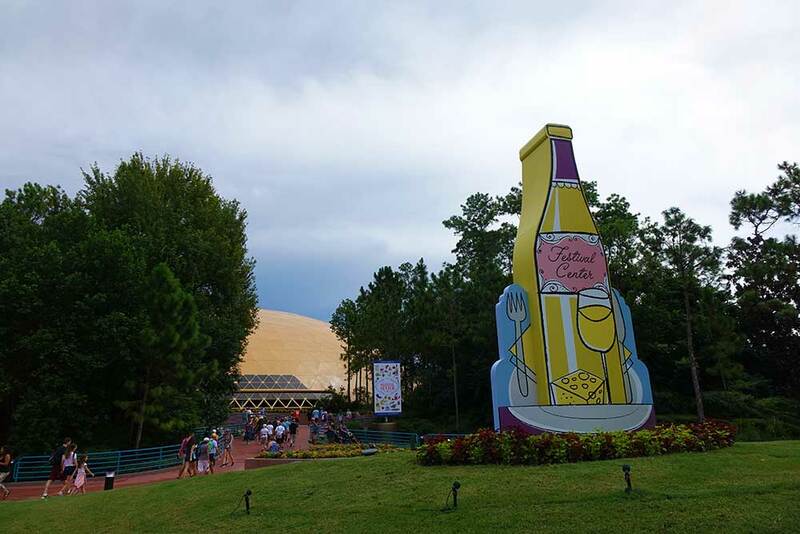 Will the Food and Wine Festival Premium Package be offered for 2019? No information has been released about the Premium packages just yet, but we've got our eyes and ears open! Are you still able to use Dining Credits for Eat to the Beat or does that cost more? Will I still be able to book meals at Epcot the nights this is going on? I am a little nervous now. Thanks. 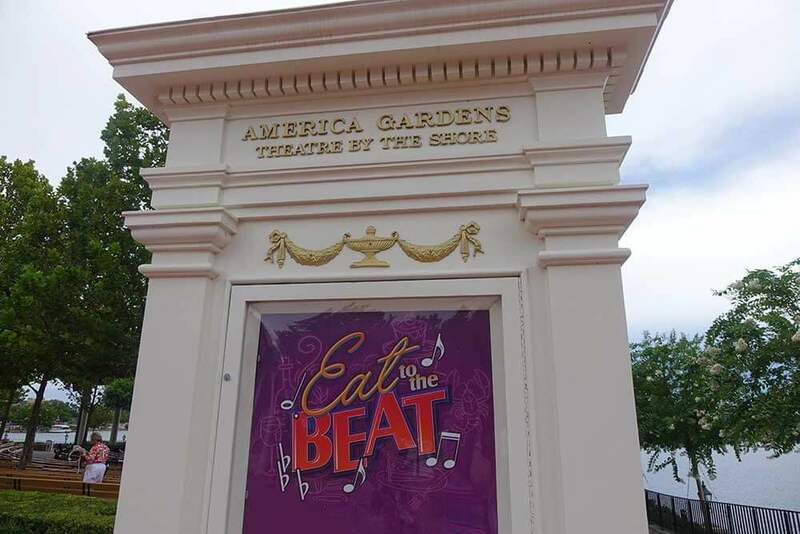 Dining credit information for Eat to the Beat has not yet been released (nor has the lineup/dates, and it's too early to book regular dining reservations just yet) but we've got our eyes and ears open! That is correct - typically, discounts are not allowed on dining packages. How much is a ticket to Epcot? Prices vary depending on when you want to visit and how long. Check out all of our options. OMG - no worries! Epcot keeps the festival TOTALLY up and running through the final day, just as good as it would be if you had visited in the middle of it. The only difference is that you might see some holiday decorations popping up as well. The marketplaces typically don't open until 11AM, but we do recommend arriving early! Unfortunately, there is not an all-you-can-eat pass. I would like to ask about The Epcot passport. How we can get The Epcot passport inside the Epcot. They have them everywhere! When you walk into Epcot, there are stands with maps of the park in many different languages, usually the passports are right there. No worries, you will see them all around, I promise. Have fun!! What time does the Eat to the Beat Concert series start each night? On every evening of the festival, a classic American band or artist takes the stage at the America Gardens Theater at 5:30 p.m., 6:45 p.m. and 8 p.m. Heading the 1st week in October. Will it be so crowded that the restaurants will be full we will need dining reservations. Or will most people head to Food and Wine. I am interested in the restaurants at Epcot. Also how crazy busy will it be that week we were planing to eat there during the evenings Oct 1-5? We are heading to Orlando WDW for Xmas this year. 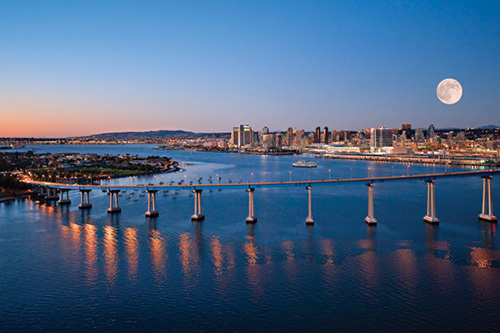 It's great to have Undercover tourist as our start point for tickets and hotel! We are attending F&W and are on the DDP. Can we use a quick service meal entitlement for tasting portions and an alcoholic beverage (now that the dining plan includes alcoholic beverages), or only snack credits for the tasting portions (and purchase alcoholic beverages separately)? Thanks. We can't confidently answer your question quite yet, as this is the first year of the festival for which this will be applicable. We'll be sure to ask when we attend the first day! Keep an eye on this post for answers. Hi! I made a rookie mistake and planned a disney vacation over labor day weekend so I could go to the food and wine festival for the first time. After looking at all the horror stories of going opening weekend or on a weekend in general, I am reconsidering.. We only had plans to go to food and wine on Sunday of Labor Day Weekend, but I may just cancel our trip altogether and plan for a time where we can go on a less busy time period. If you could give an opinion on whether to cancel or not please do! If you don't think we should cancel and could give advice on the best time of day to go, that would be great. I wouldn't mind the crowds as much, but the people I am going with I know will not be happy. Uh oh! To us, even a busy trip to Disney World is still a blast. 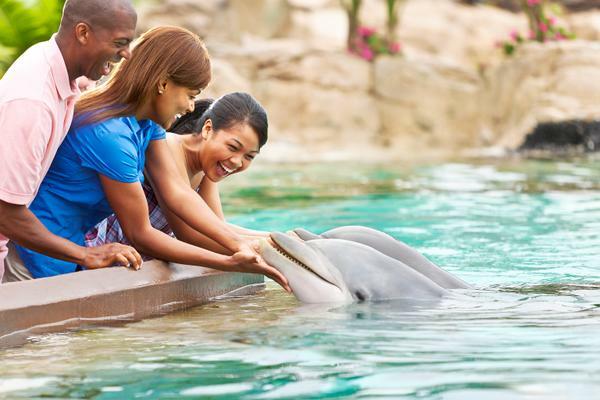 But we totally understand the struggle and pressure to make sure the people you are going with have fun too. If you're worried they will be bothered by the crowds, we definitely recommend rescheduling your trip since Labor Day and the beginning of Food & Wine will bring in lots of guests. We would hate for you to not enjoy your trip because you have secondhand stress! You can check out our Crowd Calendar for the best times to visit, and feel free to reach back out if you have any other questions. First time to F&W this Oct with our group of 5; we have only one day which is a Sun so I know it will be crowded; I am hoping to do a few rides in the morning; F&W for lunch; more rides; then walking around to see how the crowds are and if we want anything else to eat; I am thinking of doing a sit down dinner at Epcot due to the crowds I am thinking will be there at dinner; is this wise? And I saw that white tray above in the pictures? Are those offered any where at the Festival? Thank you! This sounds like the perfect plan to us. Our best advice would be to dine at "off" times. For example - an early lunch around 11 a.m. and an early dinner around 4 p.m. (with extra snacking at the Food & Wine booths later on, of course!) would be the best approach. The white tray was included with a sampler dish we purchased last year. Yum! OMG - don't worry! The festivals don't interfere with the standard Epcot experience at all. You can definitely stick with a "regular" Epcot touring plan and enjoy your day! Much of the crowds will be drawn towards the Food & Wine exclusives, leaving the rest of the park as your oyster! The Food and Wine festival is "open" when Epcot is open, yet some booths and activities have different hours. 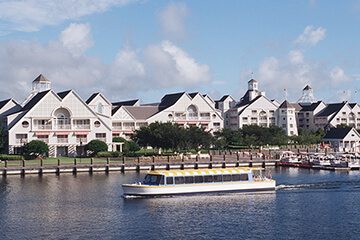 Check the official Epcot page and look up the day you are thinking of attending. That's your best clue as to times. Is it possible to get the passports before we go (in November)? We've only seen the passports available inside Epcot. Read enough bad reviews of this event to avoid it altogether. Crazy prices, miniscule samples, crappy wine...I can do so much better all by myself for a fraction of the cost. Oh it's pricy because of the admission to get into Epcot but my husband and I go without children and have gone 5 out of the last 8 years. WE love it. The food is small but just enough. And wine is not the only alcoholic beverages offered. We have a blast either alone or years we've traveled with others. Im sad because until last year when it was full, I had no idea about the chase lounge and was excited to take advantage but now it's gone. will there be gluten free items offered? 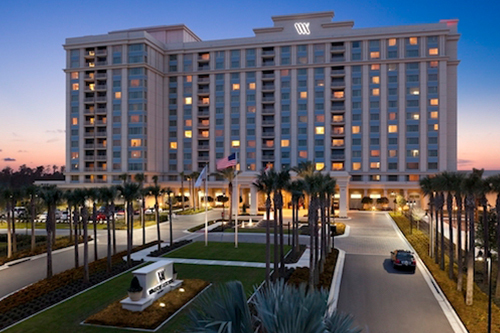 We're hopping down to the Food and Wine Festival this week. We'll note where we see gluten free options and include it in our post! How do I go about purchasing a festival gift card? Is there a website? I will be coming from the Midwest and will need it before I arrive in Florida. Thanks! 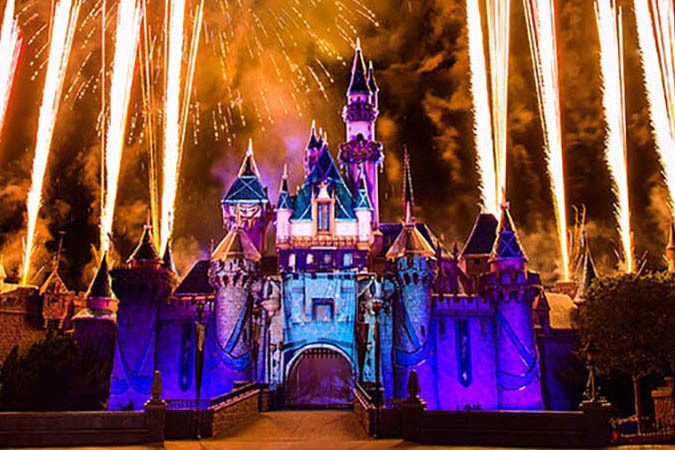 You may purchase a Disney Gift Card before you arrive and use that at the festival. It's not a festival gift card, but it works the same. You can find more info here. How and when can you purchase F&W gift card that you wrote about? These mini gift cards are available when you arrive at Epcot for the festival! What is the average cost per dish/drink when sampling food and wine? I am trying to determine how much to budget for and put on the mini gift cards for myself and my daughter. Thank you. In the past, food dishes have been between $4-8, and drinks between $3-6. Hope that helps! 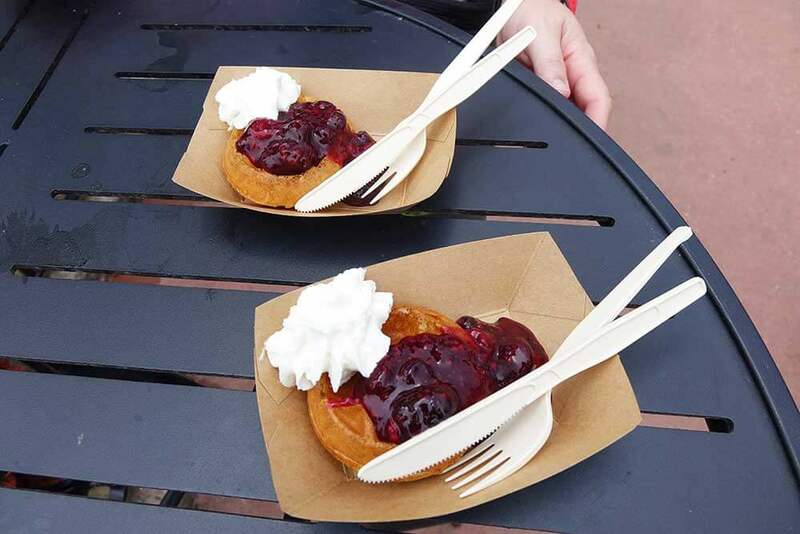 Can you give a price range for the small bites that are offered at the Epcot Food & Wine Festival? I'd like to get a feel for how much I'd like to put on my festival gift card. I see the list of Marketplaces, but how do I know where these will be spread out throughout the park? Is there a map available ahead of time to plan? Thanks! There is a map available, but it has not been posted yet. We'll link to it on the blog when it's posted by Disney. There is a map available, but it has not been posted yet. We'll link to it in the blog when it's posted by Disney. Would you still recommend going left to right (Mexico to Canada) even now that the Frozen ride draws so many people to that side? We'll look into this when we hop down in a few weeks, but we don't anticipate the Frozen line to interfere with the Marketplace Booths around Norway. I am confused! You mention the Chase Lounge but I read in several sources that Chase was no longer a sponsor and there would be no Chase lounge available in 2017. Thanks for the catch. We've removed it off the blog. Pertaining to #9, I believe it was recently announced that the Chase lounge will not be returning for this year's festival. Can my 19 year old daughter join me in attending the low cost seminars offered at the Festival Center as long as she doesn't partake of any alcohol? Yes, your daughter is more then welcome to go to the seminars. I have seen many children much younger then your daughter go to them. They just do not serve them the alcohol. They are very fun and family friendly. Heading to Epcot's F&W Festival on Oct. 2nd, 2016. I'm considering the breakfast with Bobby Valastro. Is this a full breakfast?? Just wondering since the cost is $129/pp. Any idea if it's worth it? I go every year to this event and in the past couple of years it has been a plated brunch meal. It usually has roasted potatoes, some kind of quiche or egg dish, a protein, and another kind of vegi. They also have pastries on the table to share along with coffee/tea, orange juice and some kind of wine or champagne. We will be attending the Food & Wine festival for the first time ever. Is there plenty to experience without buying additional tickets for events? Or do you have to have additional tickets beyond park admission to partake? I'm really not sure what exactly to expect. Thanks! You DO NOT need to purchase any extra event tickets. There are SO many vendors from which to purchase small plates and drinks AND the Eat to the Beat Concerts are free...just get there early for a seat. Also, if you are on the Dining Plan, your snack credits can be used instead of cash at the vendor sites. You do not need to purchase additional tickets to enjoy the festival. 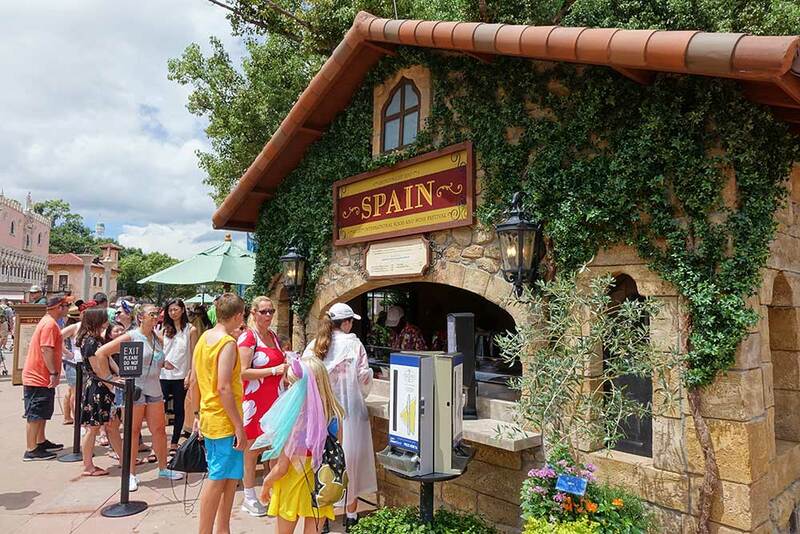 World Showcase is the hub of activity with the food and drink offerings from the international marketplaces. Pick a few countries, sample the flavors and enjoy the sights and sounds! What do I ned to do to buy tickets for the Epcot Food & Wine Festival - Late Nights LIVE!. We will be there on oct 23. I attend the Food and Wine every year. Love it! So disappointed this year to see they have removed the Lobster Roll! It was the best of the Festival! 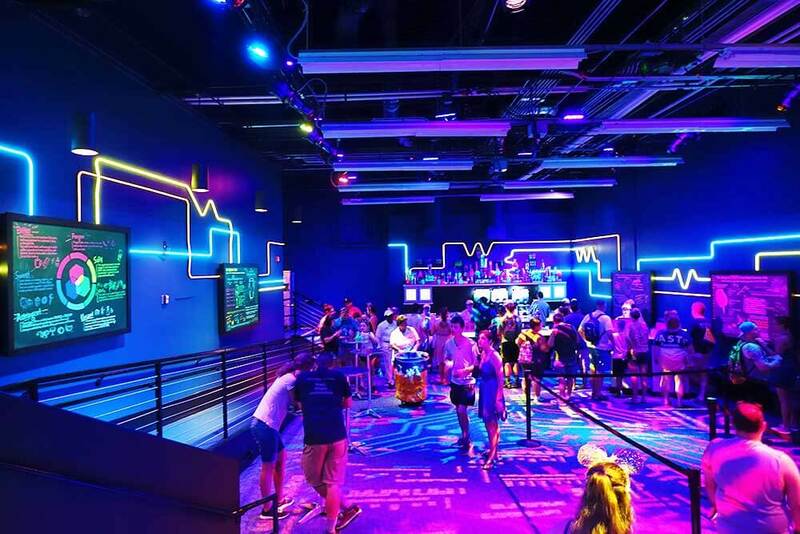 If you already have a ticket to Epcot, it's an additional $79 to partake in the Late Nights LIVE! street party? Or is there an up-charge?